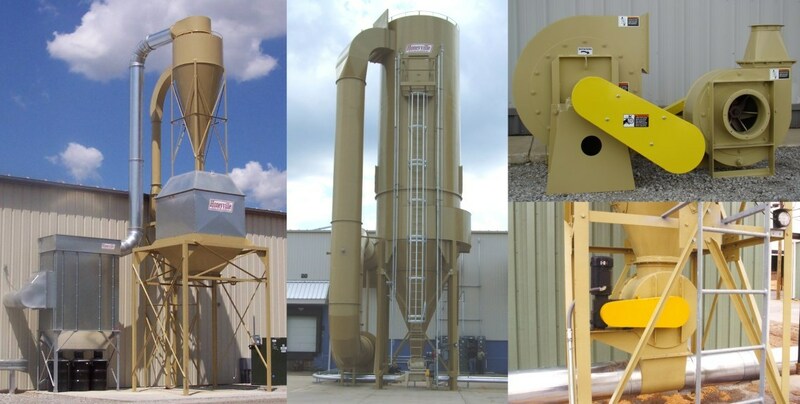 High Efficiency, High Volume Cyclones | Honeyville Metal, Inc.
Honeyville has 10 sizes of High Efficiency / High Volume ("HE/HV") cyclones available for applications where maximum efficiency is required. The tall body and steep cone design assures a faster drop of material to the cone outlet. MATERIAL: Body and cone constructed of heavy gauge, welded hot rolled ("HR") carbon steel. The cyclone is flanged at the mid-section to bolt together at the job site. INLET: 135° scroll involute inlet to move material past the interior conical baffle. VENT: Low velocity tangential vent outlet for less air turbulence. EXTERIOR SURFACE: The exterior for cyclones made with HR or AR steel are finished with a base primer coat followed by industrial alkyd enamel paint.